For some, a career in poker was the best option after the economic recession of 2008, resulting in limited employment opportunities for many young workers. Kane Kalas, however, never suffered from that problem, thanks to a diverse upbringing. For Kalas, poker was just the logical choice among many opportunities. Kalas could have easily pursued his passion for classical singing or perhaps followed in his father’s footsteps as a sportscaster, but instead, the 25-year-old has spent the better part of the last five years grinding online and, more recently, making a name for himself in the live tournament arena. Kalas was raised in Media, a town just outside Philadelphia, Pennsylvania. It was there that he developed his love for watching sports, while his father, the legendary Harry Kalas, called games for the Philadelphia Phillies and narrated features on Inside the NFL. After hearing Kane speak, it becomes obvious that he inherited his father’s smooth, baritone voice, which was discovered early on while he was in middle school. Kalas attended high school in Wilmington, Delaware, where he switched to opera. Unable to decide between a career in broadcasting or music, he chose to attend the University of Miami, which has excellent programs in both. It was there, in Coral Gables, Florida, where he discovered a new passion. It makes sense that Kalas would be so open to exploring a game like poker, given his early introduction to gambling as a child. During his freshman year in college, Kalas found the perfect game to satisfy that fascination. After observing a friend winning at poker online, he jumped right into a career in cards and began playing full-time. Of course, playing online poker for a living requires at least 40 to 50 hours per week, and that just wasn’t possible with his demanding college courses. Kalas initially switched from the music program to theatre arts, keeping his dual major going with broadcasting, but eventually, he decided to take a hiatus from school. In order to play online poker, he moved to Costa Rica and has since also spent time in Malta. Poker isn’t an easy game for most people to master, but Kalas has always had a workman-like attitude towards his chosen profession that has kept him on top. Although he started his career playing cash games, he’s had to switch his focus and find ways to adapt when the games dried up and the money went elsewhere. He also doesn’t have any desire let his ego get in the way of profit. Despite the ups and downs of life as a grinder, Kalas believes he took the safest path to a secure financial future. In order to continue pulling in consistent income, Kalas has begun traveling the live tournament circuit more heavily. In 2013, he made a deep run in the WSOP Millionaire Maker event, finishing in 31st place for $32,882. This year, he made a final table at the Borgata Poker Open, cashing for another $37,792. Then this summer, he went deep in the WSOP main event, busting in 115th place for $52,141. He followed that up in September with the largest score of his career, banking $500,364 for finishing runner-up at the World Poker Tour Borgata Poker Open main event. Kalas now has nearly $700,000 in live tournament earnings. His last two tournament scores earned him considerable publicity. He was featured on ESPN’s broadcast of the featured table during the WSOP main event and his WPT final table appearance will air on FSN in the near future. However, Kalas doesn’t play live tournaments for the attention. 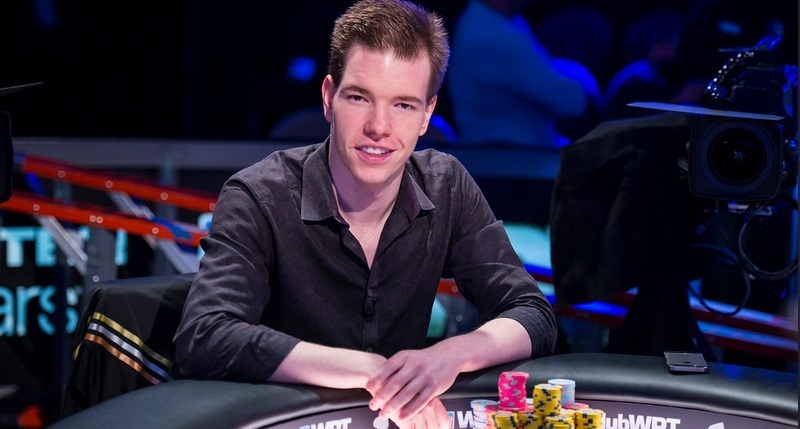 His game has never been better, nor has it yielded such positive results, but Kalas recognizes that he won’t be playing poker forever, at least not for a living. He says he will eventually return to school to finish his degree and likes to keep his pipes sharp with the occasional singing gig. In fact, Kalas gets invited every couple of seasons to sing the national anthem and Take Me Out To The Ballgame at Citizens Bank Park where the Phillies currently play. (Feel free to check Kalas out on YouTube). If singing doesn’t work out, he’d be happy to follow in his father’s footsteps with a career in broadcasting. For now, however, he’s spending his days in New Jersey, playing online poker between traveling to various live tournament destinations.